Just in time for the convertible season, Fiat has unveiled a new special edition of the called the Urbana Edition with dark exterior and interior accents that create a sporty appearance. This is the fourth Fiat model to receive the Urbana Edition package, meaning it’s now available across the entire Fiat range. Based on the entry-level Classica trim level, the new limited edition convertible comes as standard with 17-inch Black Diamond wheels wrapped in performance tires. The exterior is enhanced with dual bright exhaust tips, exterior accents in Piano Back, and a Gloss Black finish on the front pillar bar bezel, seat-back pillar, and mirror caps. Inside, you’ll find matte gray accents, Urbana leather/microfiber seats along with a wrapped instrument cluster hood and instrument panel. 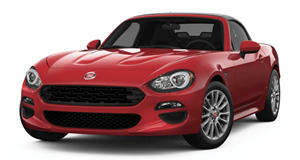 As with other versions of the Fiat 124 Spider, power is provided by a 1.4-liter turbocharged inline-four engine with 164 horsepower. For the 2019 model year, the 124 Spider is also getting three new options, including a louder exhaust system, a new Veleno Appearance package, and new custom center stripes. The Urbana Edition package is available for $995 on 2019 124 Spider Classica models, which start at $25,190 in the US excluding the destination charge, and is now available at Fiat dealerships. The Fiat 124 Spider Urbana Edition will debut next week at the 2019 New York Auto Show. This is becoming a tradition as the .